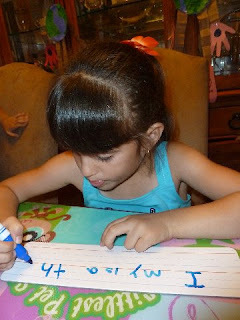 Learning basic sight words is a MUST but it can be drab so I try to find fun ways to introduce them to the Lil Divas and keep it exciting. How are we learning to READ? Basically I have been introducing/focusing on 5 sight words a week. We review those words through various activities and then the following week I add 5 more. Notice I wrote ADD. I keep reviewing the old words so that they are ingrained. Once I feel they have been mastered I will not focus on those as much but for right now - we continue to revisit them. Each Lil Diva has a sight word book where I write all the sight words and they can sit with it and review them at any time. 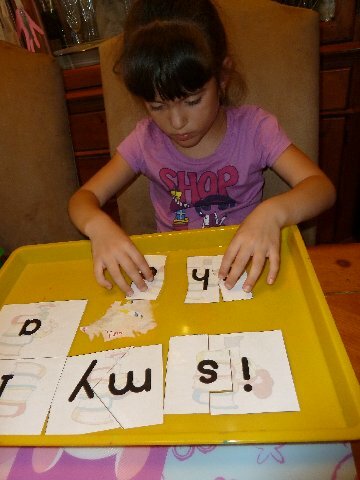 They actually like to do this - it's always exciting to feel like you can do something you couldn't do before and learning new words fits right into that! 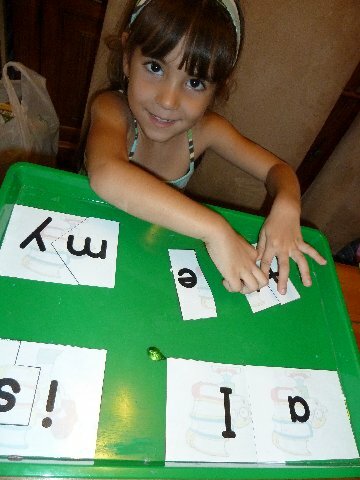 We also work on basic phonics skills - letter sounds, word families etc. and we read, read, read, read. Then of course we dicuss - comprehension is a crucial part of reading! All these things work together to help build a solid reading foundation. I read to the Lil Divas every day and now they also read to me - we are currently using Bob Books (Set 1) - Beginning Readers and Starfall's website. We will soon begin to incorporate Scholastic Sight Word Readers, Bob Sight Words - Kindergarten and the actual Starfall Books (the girls like these so I wanted a hard copy they can read off the computer as well). 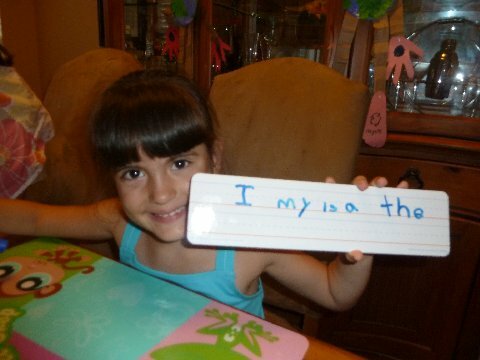 Plus, I use mini-readers that fit into our word families, etc that I find on the internet as well. So now that I have you given you a bit of background here is what we worked on during our caterpillar Themed Week- I try to fit the theme in as much as I can but it's not always possible so keep in mind that I am more focused on the reading skills we are working to develop than anything else. We have been using Bob books and reviewing sight words before this past week just not as formally as we are now. I wanted to begin with words that we have seen and have been reading in our Bob books. I did this because I wanted the Lil Divas to feel successful this first week and feel positive towards our new reading activities as I introduced them to this more structured approach. 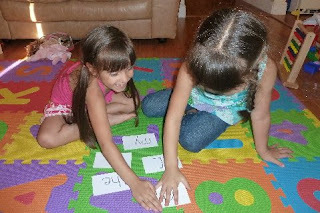 How To Play: I wrote out the week's sight word on index cards and placed them on the floor. I would call out a word and the Lil Divas had to lap their hand down on the correct word! 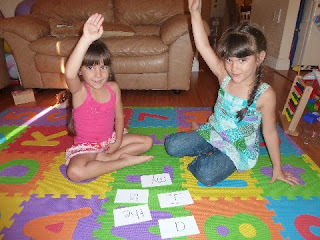 :) No tears & lots of laughs made this simple game a hit! We will definitely be doing it again as we add more words. 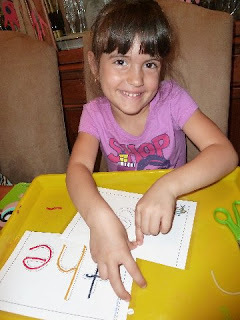 I found some great Sight Word Printables on MissChapple.com. 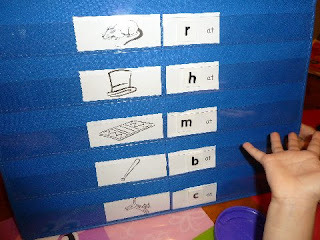 They include writing the word, recognizing and finidng the words in a chart/table and within sentences. This was really great for my Oldest Diva - the Lil Diva did it too but she did need guidance from me at each step. Below is a sample of the printables from the Oldest Diva's work. 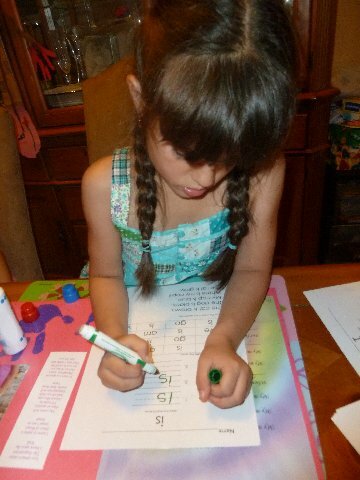 She was able to work independently after I explained the sheet to her. After the first time - she was doing the rest of the sheets throughout the week on her own without me repeating the directions. The middle part says to color but we used out Do-a-Dot markers because the girls love them (and it was faster). 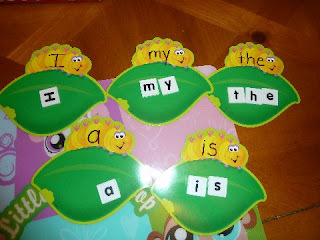 To go with our caterpillar theme I took some caterpillar cut-outs & wrote the week's sight words on them & the Lil Divas had to read the word and then use our letter tiles to spell out the words. 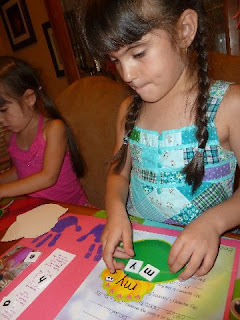 Sight Word Puzzles from 1+1+1=1 both the Lil Divas enjoyed these. Carissa has only recently started this program with her son and is sharing the printables as she does them herself. 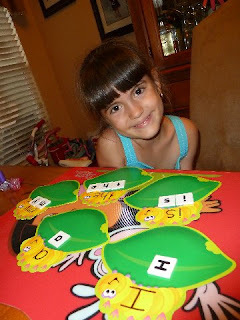 I had to use printables from 2 different weeks to match our words but it worked out & she has great stuff - love her site! 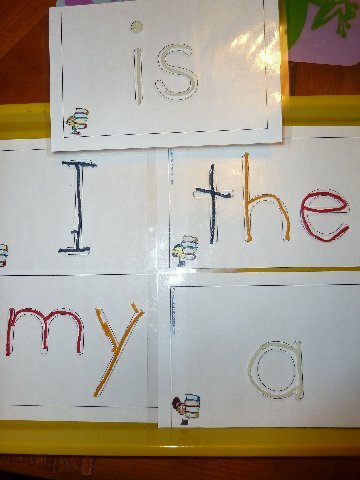 These cards are also from 1+1+1=1 but instead of using play-doh we used our wikki stix. They really enjoyed this activity! Towards the end of the week I had them (mostly the Oldest Diva) write their sight words on a dry erase sentence strip type board as I called them out. I found these awhile back at the Dollar Spot at Target. There are so many neat things to find there! I always stop & look - just in case, lol! She was so proud of herself for being able to do it all on her own! I was very proud of her too. We used a fun Word Slide to review and sound out different -at words. I l;aminated and cut it out and it was easy to make and use. 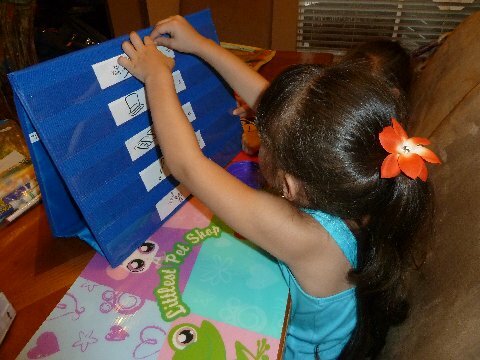 The Lil Divas enjoyed using it and reading all the words independently. The Oldest Diva also worked on reading an -at word mini book from Hubbards Cupboard﻿. 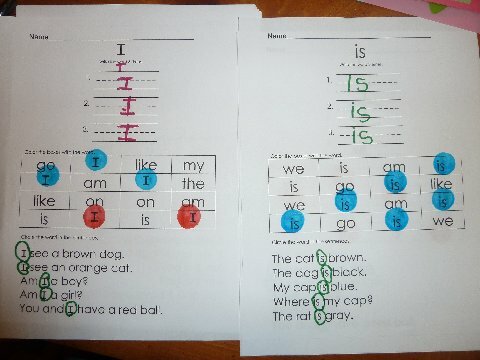 The worksheet at the end is what I used in my pocket chart activity below. We will continue to share our Learning to Read Adventures with you weekly! If you have any resources to share - please comment or send me an e-mail - I'd love to hear about them! I love all your ideas for teaching those site words. We used Progressive Phonics here on line. Selena picked up her sight words and learned basic phonics at the same time. Hi! Following you from the blog hop! Hope you visit my Cajun blog and return the follow! 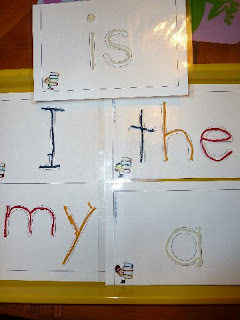 I want to start incorporating sight words into my teachings with my son. Thank you so much for these ideas! P.S. 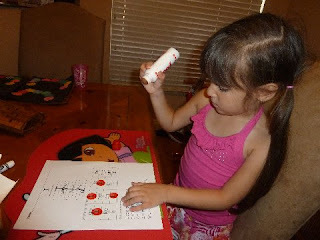 I also love Bob books, starfall, and the ideas from Carisa at 1+1+1=1. 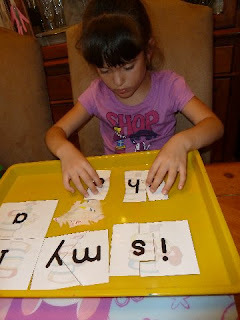 It looks like you might be using this already, but...Words Their Way is a great spelling/learning to read program. We used it in our first grade class a few years ago when I was still teaching. Just stopping by to say Hi and thank you for joining the Tuesday Train. Wow! Looks great! That was an excellent post! 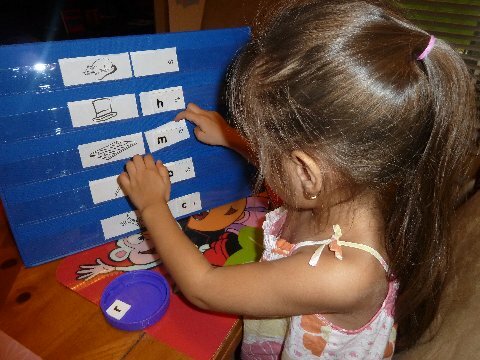 I am launching my Ready2Read Curriculum tomorrow that includes sight words and word families. Hope you find some of this helpful. I think I'm going to start sight words with my son this summer. Thanks for sharing your ideas at Fun for Kids Friday. Have a great weekend! love this idea....i'm starting sight words and think this may get my daughter interested. this is so cute!! I have those little lily-pad cut outs and didn't know what to use them for! Thanks for the great idea!